Apple calls iPhone 4S a "worldphone", but the real measure isn't wireless frequency support, but actual availability. The 4S went on sale one week ago in seven countries. Apple added another 22 today and plans 70 countries by end of year. Preorders start today, and phones will be available in stores on October 28. No global iPhone expansion is more important for Apple than iPhone 4S. On Tuesday, the company offered stunning guidance for calendar fourth quarter: $37 billion in revenue and earnings per share of $9.30. Analyst consensus before Apple issued guidance: $36.63 revenue and $8.98 EPS. Wall Street estimates are now $37.55 billion and $9.45 per share. More typically, Apple has issued conservative guidance with analyst consensus billions ahead, and fourth quarter -- even with holiday sales -- isn't typically one of Apple's strongest. I don't see how the company reaches $37 billion in revenue without bang-up iPhone 3GS (free), iPhone 4 ($99) and iPhone 4S ($199-$399) sales. I'm looking at the numbers for a future post, but for now it looks to me like Apple, and really new CEO Tim Cook, has bet the quarter on iPhone. Distribution will be key to achieving that number. Apple launched iPhone 4S in: Australia, Canada, France, Germany, Japan, United Kingdom and United States, starting with preorders on October 7. Today adding: Austria, Belgium, Czech Republic, Denmark, Estonia, Finland, Hungary, Ireland, Italy, Latvia, Liechtenstein, Lithuania, Luxembourg, Mexico, Netherlands, Norway, Singapore, Slovakia, Slovenia, Spain, Sweden and Switzerland. Early sales are promising: 4 million units from October 7 (when preorders started) through October 16. The fist million units came during the first 24 hours of sales. Yesterday, AT&T boasted about 1 million iPhone 4S activations so far. I'll be closely watching any reports on new international sales, as you should do, too, if an Apple investor (disclosure: I am not one). 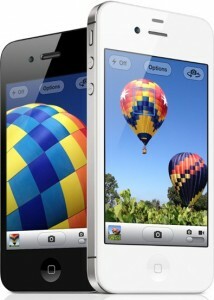 iPhone 4S reaching 70 countries this year could make or break Apple's quarter. And if you think the two-day stock sell-off this week was bad after Apple missed Wall Street's over-inflated consensus for calendar Q3, just watch what happens if Apple sales don't grow 40 percent and reach $37 billion this quarter. Analyst consensus for Apple calendar Q4 is greater than actual revenues were for all fiscal 2009. Oh, how Apple has changed in just two years. But the risks are all the greater, because expectations are so high.